In 2017, Ryno Kennel will be offering two different styles of mushing adventures in the Alaska Range! Are you interested in experiencing mushing in the Alaska Range without a week of camping in a tent? Trip 1 and Trip 2 are for the milder musher who would prefer groomed trails and a more relaxing ride. Lodging will consist of a mixture of Arctic Oven tents and warm cabins or lodges. Mushers will have the opportunity to drive their own team of elite Ryno Kennel athletes, listen to stories from the Iditarod and Yukon Quest trails, and live their own Alaskan Adventure! Each trip is small and personable with only 2-3 mushers per week. Cost: $4,000- includes all lodging and meals, warm winter gear, and transportation from Fairbanks, Alaska to the starting location. Mush your own team of racing Alaskan Huskies. Fly in an Alaskan bush plane. Camp in the incredible Alaska Range. Adventure Mushing Trips are for the daring musher who would like to fly by bush plane into the heart of the Alaska Range and live for one week with a team of Alaskan Huskies. You will have the opportunity to drive your own team of elite Ryno athletes, and the distance we mush is up to you! At Wilderness Camp, you will be staying in an ultra-warm Arctic Oven tent heated by a wood or propane stove and sleeping on individual cots. Cuddling with athletes from your dog team is encouraged. Meals of wild Alaskan game will be prepared in a separate cook tent (just alert Ryne of any dietary restrictions prior to the trip). Listen as Ryne shares stories from the Iditarod and Yukon Quest trails, and enjoy the incredible view of the Alaska Range right out your tent flap. * Each trip is at the mercy of Alaska weather and winds. It is possible to be delayed in Fairbanks or at Wilderness Camp. In the event that the planes are weathered down, the trip will be adjusted accordingly. Trip insurance is highly recommended. 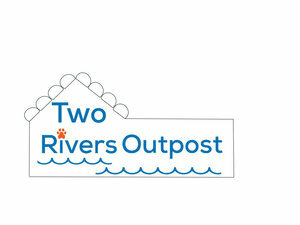 *Only 2-3 mushing spots available per trip. Cost: $4,000- includes the flights to and from Wilderness Camp, meals at Wilderness Camp, warm winter gear, and a week of adventure mushing. Day 1: Fly into Base Camp and meet your team. Learn how to mush and take a short trip around the lake. Day 2: Wake up early and mush out in search of ptarmigan. Hunt ptarmigan all day with a break for lunch. Day 3: Mush to another spectacular day of ptarmigan hunting. Day 4: More mushing and ptarmigan. Day 5: Even more mushing and ptarmigan. Day 6: Say good bye to your team and fly back to Fairbanks. Day 2: Full-day mushing trip with a break for lunch. Day 3: Pack up and mush to Spike Camp where we’ll camp for the night surrounded by glaciers. Day 5: Full-day mushing trip with a break for lunch. Day 2: Wake up leisurely, enjoy breakfast, and go for a 2-3 hour mush. Come back for lunch, a nap, and a round of cards. Day 3: Same as Day 2 except mush in a different direction to a new, magnificent view. Day 4: You’re feeling motivated, and you choose to go out for a full-day mushing trip. Day 5: Whew, yesterday was long, so back to a half day and the afternoon spent cuddling with your lead dog. Email ryneolson@gmail.com for more information or to reserve your Alaska Range Adventure of a lifetime.